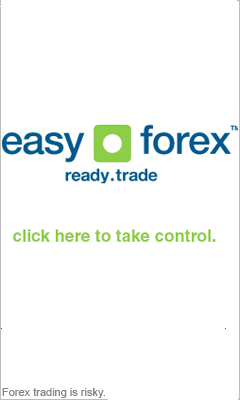 Economic indicators are an essential and primary part of the world of economy and the Forex trading market. In our previous articles about different approaches towards market analysis we have briefly discussed this concepts and emphasized their affect on your trading system. In this article we will try to illuminate the importance of this indicators even further. The term 'economic indicators' stands for a wide variety of financial statistics, figures and evaluations. This info is being processed, studied and then released by several financial establishments around the world, such as national treasuries and large investment banks. The Forex trading indicators are a powerful device that is used by these establishments to better understand and trace the changes in the world economy. Although the indicators originally had a different function they are now closely watched by all investors around the world. Each smart investor waits anxiously to the release date of each of the indicators and knows how to act upon them. Most people presume that it is almost impossible to understand economical concepts such as indicators without an economics school degree. This is of course false. If you want to use indicators as a tool to improve your forex trading then you are more than able to do this without any academic education. In this series of articles we will present you with several guiding principles that are bound to turn you into a better forex trader in no time. The first thing on your list is to learn the release dates of each of the economical indicators. Keeping an organized calendar near your trading station (your home or office computer) with each of the release dates marked will make the job much easier. You can find all the release dates for all the indicators in many places around the net but generally the best places to look are http://www.ny.frb.org/ and http://www.worldbank.org/. Following the calendar will be very useful in more than one way. Many price shifts and sudden rallies that could confuse you in the past are now easily explained by their proximity to one of the release dates. The calendar will help you feel the pulse of the forex market. Economic indicators can affect the market both in a immediate straightforward manner and also in a more subtle, roundabout way. When traders act upon the data that they learned from the indicators this is a direct affect of the indicator's release. When traders move to better positions according to their expectations of the indicator, this is an indirect affect on the market. When prices shift just before the release date of a certain indicator because traders move to a better position according to what they expect from an indicator, it is an indirect affect on the market. We strongly advise you to keep reading our next articles which will deal with more advanced concepts of economic indicators.